The Sun Yat-sen Mausoleum contains the mortal remains of the father of modern China, Dr. Sun Yat-sen. His name in mandarin is Zhongshan (middle mountain), a pseudonym he used while residing in Japan prior to the revolution which overthrew the Qing dynasty. The monument was built in 1926-1929 on Purple Mountain just to the east of the City of Nanjing. 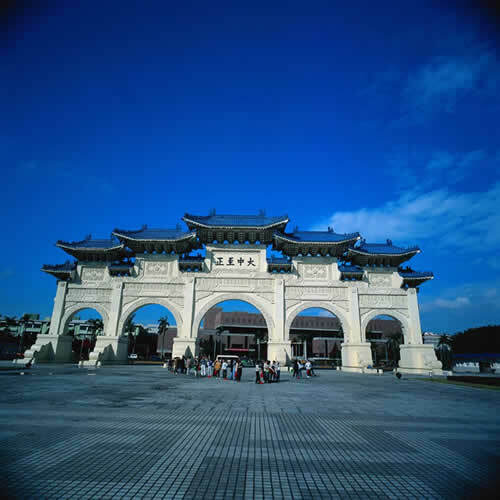 Nanjing was where Dr. Sun Yat-Sen, first proclaimed the Republic of China in 1911 and where the government had moved from Beijing in the late 1920’s.